Football has been a Michigan tradition for over 200 years. Because of this, there are a few (un)official rules all students are expected to follow. Especially important for a noon game, but, in any case, there is no sleeping in on a game day. 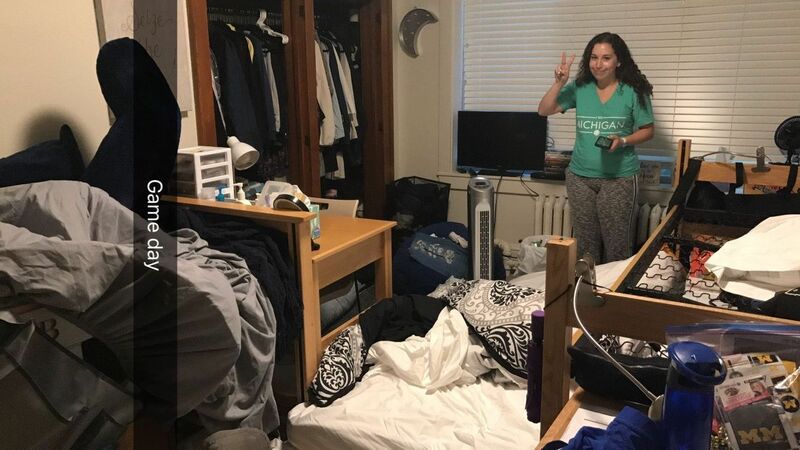 If you're in a sorority, you may even have your room torn a part all in the spirit of game day. Wear every piece of spirit wear you own. Repping U of M is important, whether you wear your Greek letters, your major, or your favorite knee socks. Arguably the best part of the day, tailgates are fun no matter what grade you are. 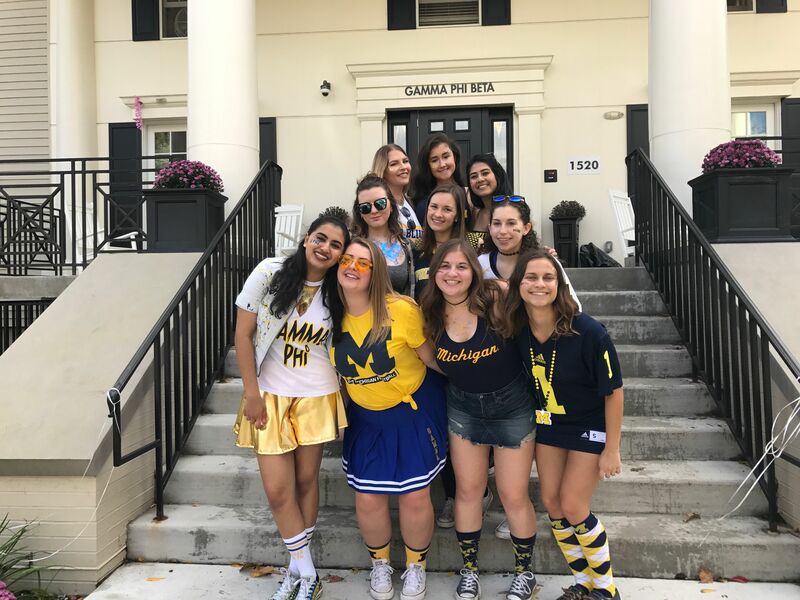 Make sure to plan your homework around tailgating or you will have a lot of FOMO. 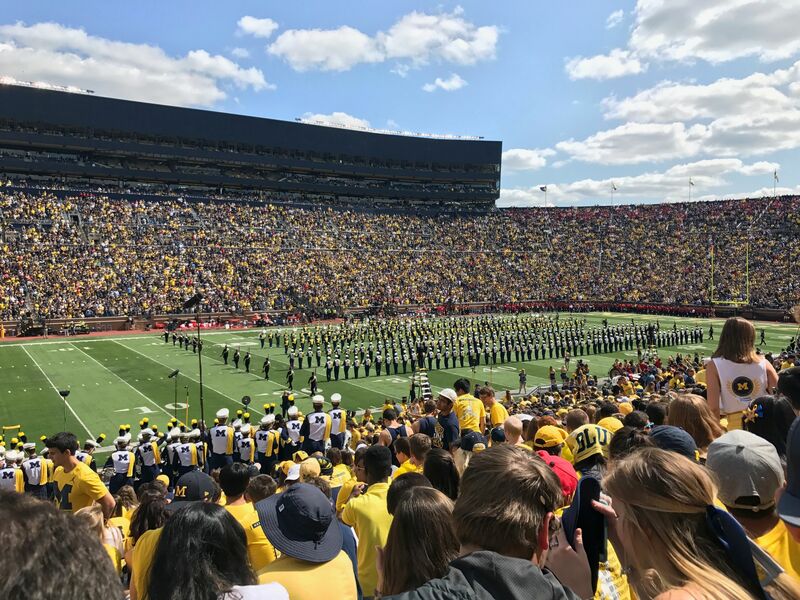 Any true Michigan fan will be in the Big House to see the band's preg-game performance, to watch kickoff and to claim their hard-earned seats (or sneak up closer). 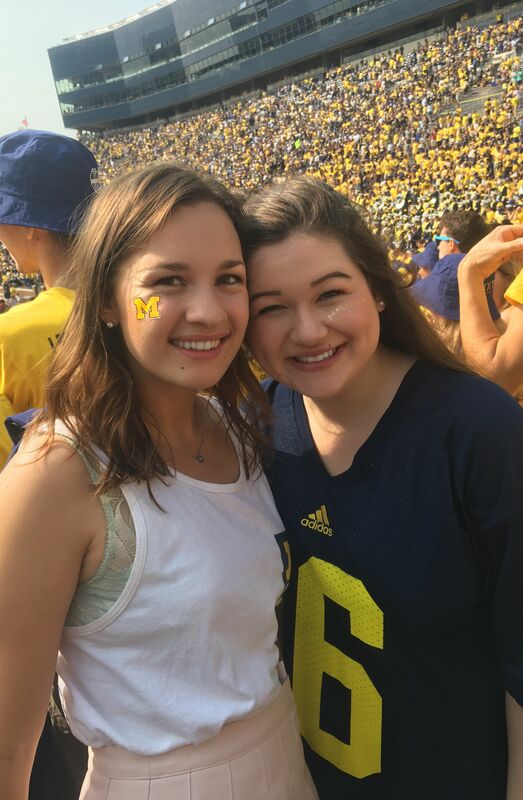 The student section is the heart of the stadium and can literally affect the vibe and outcome of the game, so be prepared to cheer your heart out and sing along to the fight song which will be played every four seconds. No matter whether we're winning or losing, the refs at home always seem to make the worst calls against us (it WAS a first down!! ), so we have to defend our players when the refs don't. 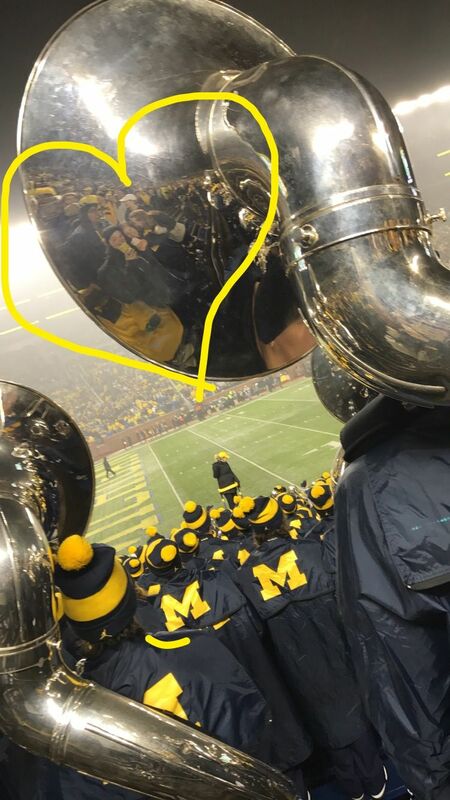 Everyone (and I mean EVERYONE) at the Big House takes a selfie at some point during the game, so make sure yours is super aesthetic (extra points if you get Harbaugh in the background). At this point in the game, everyone has been standing for three hours on top of a long day of tailgating, so this pick-me-up at the end of the third is the best way to jam out and re-renergize before the last quarter. After the dance, this classic tailgate song is blared for all of the students to obnoxiously scream. Participation is non-negotiable on this one. 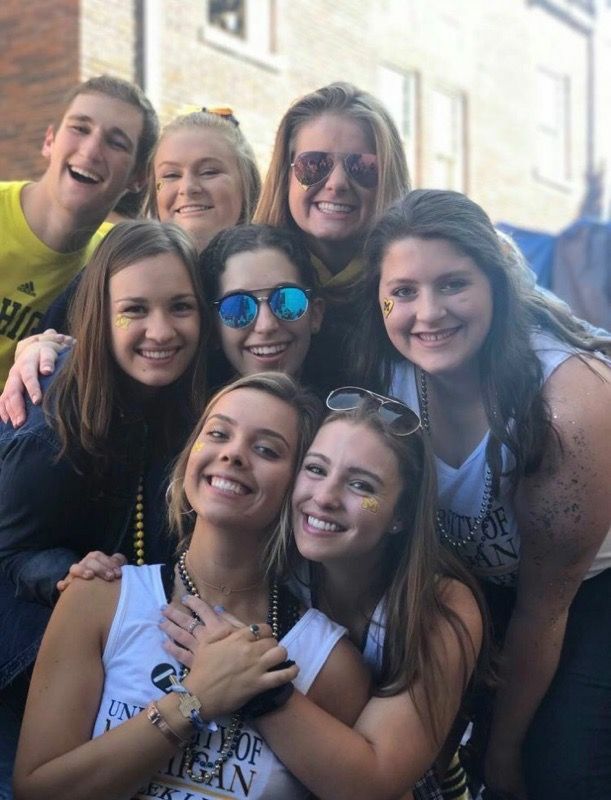 When the game is finally over, celebrate another Michigan victory by high-fiving, screaming, and hugging anyone and everyone who lasted until the end with you.